Noncompete agreements are becoming more popular as employers worry about employees jumping ship to join a competitor or start their own businesses. 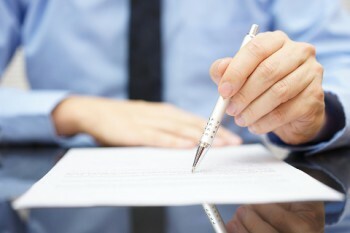 Noncomplete agreements are often part of employment contracts and require an employee to agree not to work for a direct competitor for a specific amount of time after leaving the organization. They can prevent loss of revenue, protect your confidential information and trade secrets, and even prevent customers from being “taken” by a departing employee. Noncompete agreements must be reasonable and allow the employee to continue to earn a living. Noncompete agreements in Arizona are perfectly legal and will be enforced when they meet certain conditions. Arizona courts will uphold reasonable noncompete agreements that don’t restrict employees for too long or from too far away. Arizona courts tend to carefully scrutinize these agreements because they limit an individual’s ability to earn a living. Our courts generally dislike these constraints. So the burden is on employers to craft legal and narrow noncompete agreements. An agreement you create on your own or with some generic form off of the Internet probably won’t stand up in an Arizona court. Reasonable: it must protect legitimate business interests without overly restricting an employee’s ability to find a job. Include Consideration: The employee must receive a benefit or something of value in exchange for not working for a competitor. Limited length of time: the agreement can’t bar an employee from competing with your business forever. Time periods of six months to one year are enforceable. Longer periods will almost certainly be seen as too restrictive. Limited geographic scope: a noncompete agreement can’t bar the employee from competing in a different geographic area. For example, a noncompete agreement barring a salesperson from working for a competitor anywhere in Arizona for the next three years probably won’t be enforced by our courts. However, a ban within a 15 mile-range for six months is considered reasonable and will be enforced. Noncompete agreements must be fair with reasonable timeframe and geographic limitations. They are not intended to punish a departing employee from earning a living, but to reasonably protect an employer’s business interest. Will this employee control customer relationships and/or have access to confidential business information? Will the employee be in a position to harm the employer’s business if he or she were to use the good will or confidential information on behalf of a competitor? If the answer to both questions is yes, the employer should consider a noncompete agreement. Just stick to reasonable time and territory limits. These agreements, though, are pretty easy to litigate particularly if they haven’t been reviewed and renewed to ensure they remain reasonable as the business climate changes. An experienced employment attorney can ensure that your agreement protects your current and future business interests. Contact our office for a consultation on noncompete agreements and other employment contract issues.